I continue to identify myself as black. I don't see it in contradiction with my white and Mexican ancestry. Nor does it negate these other parts of myself. I have come to understand that my multiplicity is inherent in my blackness, not opposed to it. To be black, for me, is to contain all colors. The choice stems from my childhood decision not to define myself differently from my sister or my father. But it also grows out of my increasing understanding that race is not real, but rather is a social, political, and historical construct. Race has never been about blood, and it has never been about reason. Rather, it has to do with power and economics and history. One of my concerns about the multiracial movement is that it buys into the idea of race as a real, biological category. It seems to see race almost as chemistry: Mix black and Japanese, you get Blackanese, mix Caucasian, black, Indian, and Asian and you get Cablinasian. I wonder if it will work toward a deconstruction of race, or a further construction of it. When we look at societies that acknowledge racial mixture, such as Haiti, Brazil, and South Africa, it becomes clear that multiracial pride does not necessarily mean the end of racism. Even when we look at the history of our own country-blue vein societies, brown paper bag tests, and light-skinned privilege-it becomes clear that a multiracial identity can live happily with racism and white supremacy intact. Danzy Senna, "Passing and the Problematic of Multiracial Pride (or, Why One Mixed Girl Still Answers to Black)," in Black Cultural Traffic: Crossroads in Global Performance and Popular Culture,�edited by Harry J. Elam, Jr. and Kennell Jackson, (Ann Arbor, University of Michigan Press: 2005), 85. During the eighteenth century, hundreds of thousands of free descendants of Africans in Mexico faced a highly specific obligation to the Spanish crown, a tax based on their genealogy and status. This royal tribute symbolized imperial loyalties and social hierarchies. As the number of free people of color soared, this tax became a reliable source of revenue for the crown as well as a signal that colonial officials and ordinary people referenced to define and debate the nature of blackness. Taxing Blackness:Free Afromexican Tribute in Bourbon New Spain examines the experiences of Afromexicans and this tribute to explore the meanings of race, political loyalty, and legal privileges within the Spanish colonial regime. Norah L. A. Gharala focuses on both the mechanisms officials used to define the status of free people of African descent and the responses of free Afromexicans to these categories and strategies. This study spans the eighteenth century and focuses on a single institution to offer readers a closer look at the place of Afromexican individuals in Bourbon New Spain, which was the most profitable and populous colony of the Spanish Atlantic. As taxable subjects, many Afromexicans were deeply connected to the colonial regime and ongoing debates about how taxpayers should be defined, whether in terms of reputation or physical appearance. Gharala shows the profound ambivalence, and often hostility, that free people of African descent faced as they navigated a regime that simultaneously labeled them sources of tax revenue and dangerous vagabonds. 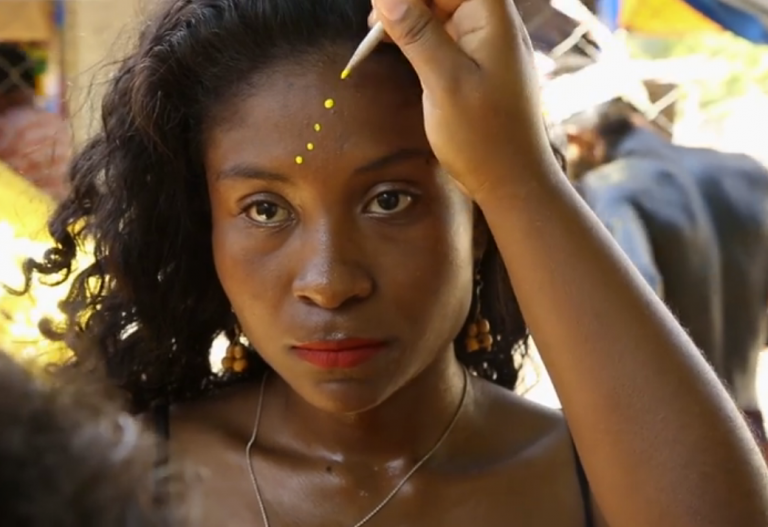 Some free Afromexicans paid tribute to affirm their belonging and community ties. Others contested what they saw as a shameful imposition that could harm their families for generations. The microhistory includes numerous anecdotes from specific cases and people, bringing their history alive, resulting in a wealth of rural and urban, gender, and family insight. LA NEGRADA trailer from TIRISIA CINE on Vimeo. A project by Mexican filmmaker Jorge Pérez Solano, “La Negrada” is a social realist drama that examines an overlooked sector of Mexico’s populace, its Black people, which include descendants of enslaved people brought to Mexico, among others. According to Variety, this is the first fictional film about Afro-Mexicans. It was a toothache that brought the Franco-Danish photographer Cécile Smetana Baudier to Costa Chica, on the Pacific Coast of Mexico. She was in Oaxaca at the time, for a project on women’s fashion, when she visited a dentist with a special reputation among cash-strapped local photographers. He accepted payment in the form of photographs. His waiting room, in Oaxaca City, was like a gallery, with framed images along the walls and piles of art books cascading over tables. There, just before getting a molar pulled, Baudier came across a series of photos of reedy men with fishing rods and nets, lolling in boats and along the banks of lagoons. She was surprised, given the fact that the men were black, to learn that the photographs had been taken in Mexico, in the remote southern states of Oaxaca and Guerrero. It was the first time she had ever seen images of Afro-Mexicans, and she decided to try to contribute some of her own. A few weeks later, she set out for El Azufre—a secluded coastal fishing village with a large Afro-Mexican population—where she spent five weeks living in a tent pitched on the front yard of an acquaintance’s house. “We need to look deeper into our Africanness to understand ourselves,” says Dr. Marco Polo Hernández, a professor of Spanish and Afro-Hispanic studies at North Carolina Central University, in a recent phone interview. Mexico’s African heritage is not normally discussed or highlighted in conversation, or even education. But, Dr. Hernández, who holds a Ph.D. in Hispanic and Italian Studies from the University of British Columbia, a M.A. in Spanish Language and Peninsular and Latin American literatures, and a B.A. in General Studies & Spanish language and literatures from Portland State University, says that is slowly starting to change. Analyzes cultural materials that grapple with gender and blackness to revise traditional interpretations of Mexicanness. México’s Nobodies examines two key figures in Mexican history that have remained anonymous despite their proliferation in the arts: the soldadera and the figure of the mulata. B. Christine Arce unravels the stunning paradox evident in the simultaneous erasure (in official circles) and ongoing fascination (in the popular imagination) with the nameless people who both define and fall outside of traditional norms of national identity. The book traces the legacy of these extraordinary figures in popular histories and legends, the Inquisition, ballads such as “La Adelita” and “La Cucaracha,” iconic performers like Toña la Negra, and musical genres such as the son jarocho and danzón. This study is the first of its kind to draw attention to art’s crucial role in bearing witness to the rich heritage of blacks and women in contemporary México. The sound of Bata drums filled the air as girls, with printed scarfs tied around their waists and white or yellow dots painted on their faces, danced to the fervent rhythm, their feet and waists moving vigorously at the same time. As their left legs leave the floor, their right legs replace them, while their waists responding with a seesaw movement. This is an African dance performed by an Afro-Mexican group, the Obatala, for the purpose of connecting with their African roots. They live in the southern state of Oaxaca, Mexico and tour various regions of the state to create awareness with their energetic and beautiful dance. This investigation intends to uncover past and contemporary socioeconomic significance of being a racial other in Oaxaca, Mexico and its relevance in shaping Mexican national identity. The project has two purposes: first, to analyze activities and observations of cultural missionaries in Oaxaca during the 1920s and 1930s, and second to relate these findings to historical and present implications of blackness in an Afro-Mexican community. Cultural missionaries were appointed by the Secretary of Public Education (SEP) to create schools throughout Mexico, focusing on the modernization of marginalized communities through formal and social education. This initiative was intended to resolve socioeconomic disparities and incorporate sectors of the population into the national framework that had been excluded prior to the Mexican Revolution in 1910. While these efforts were predominantly implemented in indigenous communities located in the northern part of Oaxaca, observations from cultural missionaries related to social and educational conditions reveal ongoing disparities between what it means to be indigenous versus mestizo. The exclusion of moreno, or Afro-descended people from this state sponsored initiative indicates that blackness along with indigenity is otherized, with the primary difference being that Afro-descended Mexicans lack visibility. To gain a better perspective of the historical and present significance of blackness, my project moves from the general to the specific to include José Maria Morelos, Oaxaca, an Afro-descended community that is isolated, has no tourist attractions or services, dirt roads, and little access to socioeconomic resources. Morelos was established by blacks who escaped slavery and lived independently in their own community. People in the town strongly identify with this history and its relation to their present condition. After speaking with local activists, it became apparent that rights that were supposed to be gained from the Mexican Revolution, such as land rights and public education, did not happen in Morelos, which adversely affects people’s prospects for socioeconomic advancement. Read the entire dissertation here. 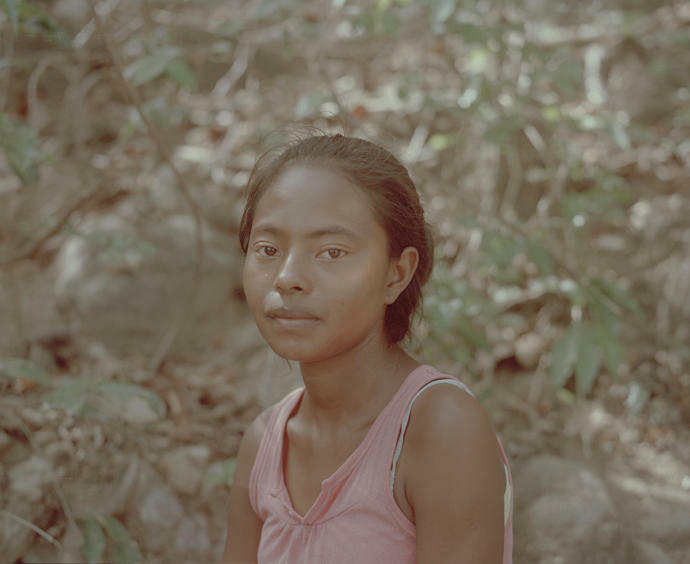 31 year-old French-Danish photographer Cécile Smetana Baudier discusses Diaspora: Costa Chica, a subjective reportage from a coastal area of Mexico where Cécile lived with a minority ethnic group: the Mexicans of African descent. Her beautiful portraits and landscape photographs introduce us to this community living at the margins of their society, and sometimes victim of racist stereotypes. Hello Cécile, thank you for this interview. What inspired your new series Diaspora: Costa Chica? I was living in Oaxaca city in Mexico and was researching on a different project; however when I started working on it I never got a connection with the girls I was photographing. I was not in a very positive state of mind. Read the entire interview and view the gallery here. WHERE BLACK IS BROWN: The African Diaspora In Mexico opens Sunday, June 5, 2016, with a public reception from 2:00 to 5:00 pm at The Museum of African American Art. The opening will feature a drumming procession of African and Azteca dancers and musicians, a dramatic performance, and a talk and tour by the exhibit’s curator, Dr. Toni-Mokjaetji Humber, Professor Emeritus, Ethnic and Women’s Studies Department, California State Polytechnic University, Pomona. WHERE BLACK IS BROWN is an innovative, multidimensional project that includes photographs, artifacts, and installations that document the African presence in Mexico from the Ancient Olmecs — Mother Culture of the Americas — through the colonial enslavement period, to contemporary Mexico. In addition to the visual components, Dr. Humber has incorporated educational programs and activities to compliment the exhibit. She will conduct middle and high school tours of the exhibit with activities for students to better understand the culture and historical contributions of African Mexicans. The exhibit is designed to further the understanding of African influence and contributions in the Americas and to foster greater understanding among African American, Chicano/Latino, and Indigenous communities about their historical connections and their intermingled sangre (blood) that has produced beautiful and dynamic peoples of the Americas. Paulette Ramsay’s study analyses cultural and literary material produced by Afro-Mexicans on the Costa Chica de Guerrero y Oaxaca, Mexico, to undermine and overturn claims of mestizaje or Mexican homogeneity. The interdisciplinary research draws on several theoretical constructs: cultural studies, linguistic anthropology, masculinity studies, gender studies, feminist criticisms, and broad postcolonial and postmodernist theories, especially as they relate to issues of belonging, diaspora, cultural identity, gender, marginalization, subjectivity and nationhood. 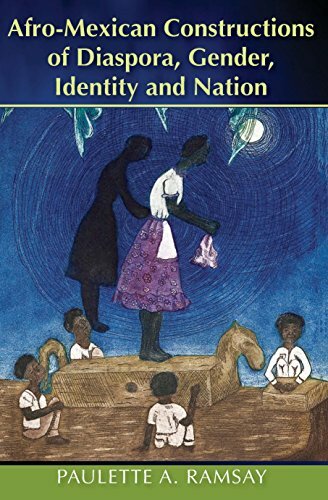 The author points to the need to bring to an end all attempts at extending the discourse, whether for political or other reasons, that there are no identifiable Afro-descendants in Mexico. The undeniable existence of distinctively black Mexicans and their contributions to Mexican multiculturalism is patently recorded in these pages. The analyses also aid the agenda of locating Afro-Mexican literary and cultural production within a broad Caribbean aesthetics, contributing to the expansion of the Caribbean as a broader cultural and historical space which includes Central and Latin America.